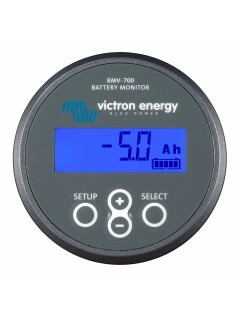 The BMV-700 is our newest high precision battery monitor. The essential function of a battery monitor is to calculate ampere-hours consumed and the state of charge of a battery. Ampere-hours consumed are calculated by integrating the current flowing in or out of the battery. The remaining battery capacity depends on the ampere-hours consumed, discharge current, temperature and the age of the battery. 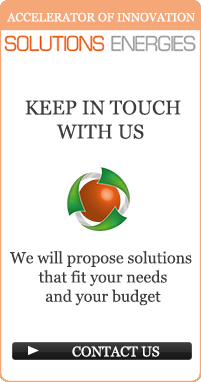 Complex software algorithms are needed to take all these variables into account. 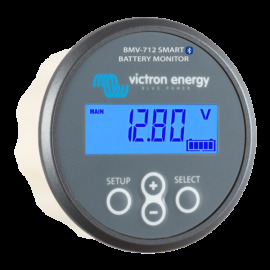 Next to the basic display options, such as voltage, current and ampere-hours consumed, the BMV-700 series also displays state of charge, time to go, and power consumption in Watts. Also included are a separate front bezel for a square or round display appearance; a securing ring for the rear mounting and screws for the front mounting. A quick install menu and a detailed setup menu with scrolling texts assists the user when going through the various settings. Please consult the manual for details. 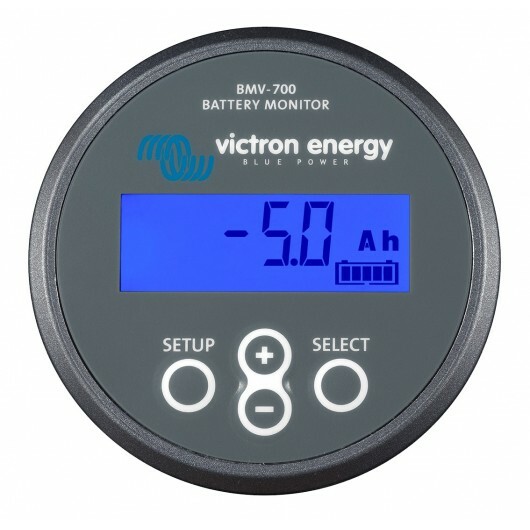 This feature which is often used in industry to monitor large and expensive battery banks, is now for the first time made available at a low cost, to monitor any battery bank. 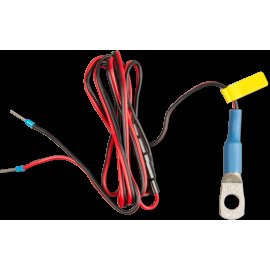 Large or increasing deviation of the midpoint voltage, points to improper battery care or a failed battery or cell. Corrective action following a midpoint voltage alarm can prevent severe damage to an expensive battery. Please consult the BMV manual for more information. Programmable relay, to turn off non critical loads or to run a generator when needed.